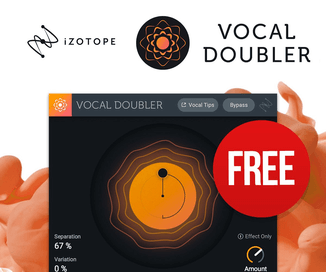 Loopmasters has released Global Beatworks Vol. 1, the first volume in the Global Beatworks World Percussion Series which features the drumming expertise of Master Drummer Simon Webster, who is recorded by long term friend and notable engineer/producer Ike Nossel. 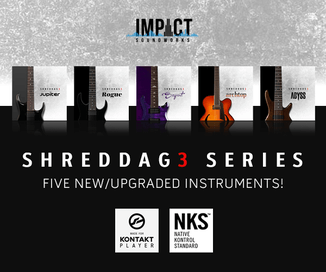 The Series captures the diverse range of percussion instruments from around the world which simon has collected, and will bring these unique sounds and his perfect playing style to your productions, adding new inspiration or simply a live played groove to complement your tracks. 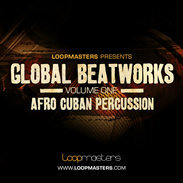 Global Beatworks vol1, Afro Cuban drums concentrates on the drums and percussion most usually found in North Africa, from Cairo to Casablanca – and is also influenced by the rhythms of Cuba – and so presents a unique blend of traditional sounds and patterns, with everything captured perfectly in the mix. 91 Wav Loops, 171 Rex2 Loops, 91 Apple Loops. Loops including Conga, Basket Loops, Bongos, Shakers, Darbouka, Djembe, Maraccas and Bells. 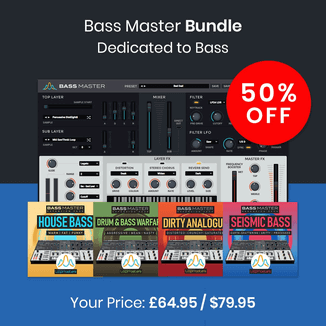 Includes full mixed loops alongside all the individual parts so that you can easily mix and match to create unique grooves and patterns. Tempos of 80/82/85/92/100 and 115 beats per minute. Global Beatworks Vol. 1 is available for purchase for £14.95 GBP (~$24 USD / 17 EUR).